I did bury a time capsule during my lifetime and it was an amazing experience. 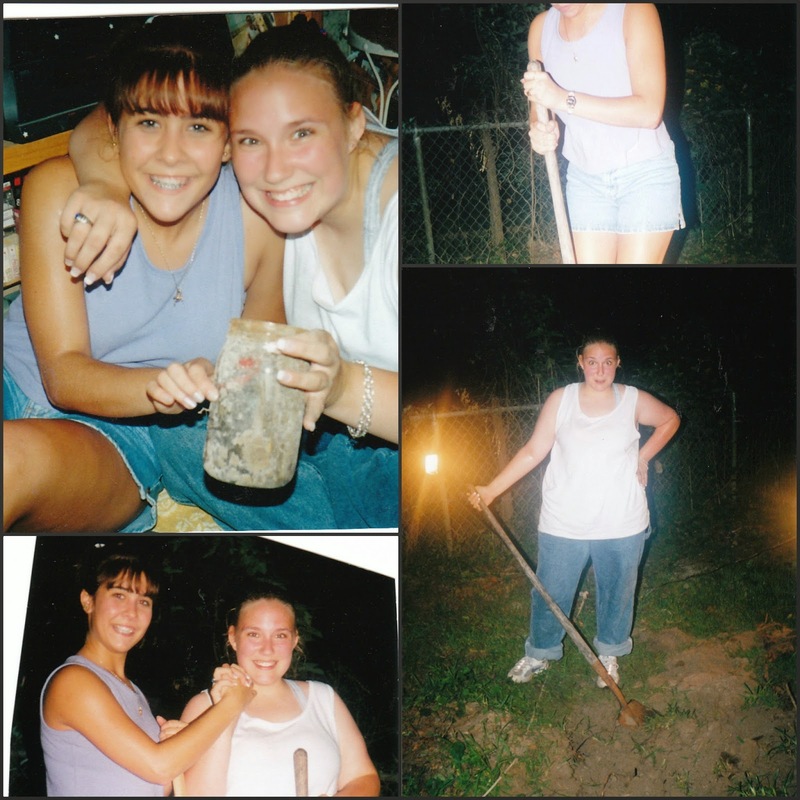 When my childhood friends Heather, Shelley and I buried a time capsule we were around 7 or 8, I think. We buried it in the back of Heather's back yard. We told each other that on the eve of our high school graduation we would dig it up. The eve of our graduation came. Shelley had moved away, but Heather and I were still living in the same houses. We went into her backyard with our shovels in hand. Her mom had a camera and a flash light and cheered us on. It took us a few hours to find out where it was actually buried. Her poor dad's backyard looked horrible after we were done. But we found the jar we buried and for the most part we could recognize everything we buried. It was so fun to do that with a great friend and remember different things that meant something to us back in the day. I would definitely recommend this to any child growing up. Maybe my parent's will let the girls bury a time capsule when they build their new house down the road. We shall see. Have you ever buried a time capsule and dug it up? I burried three but never dug them up. I love this idea - no, I've never buried a time capsule but imagine the delight on someone's face digging it up in a hundred year's time! !